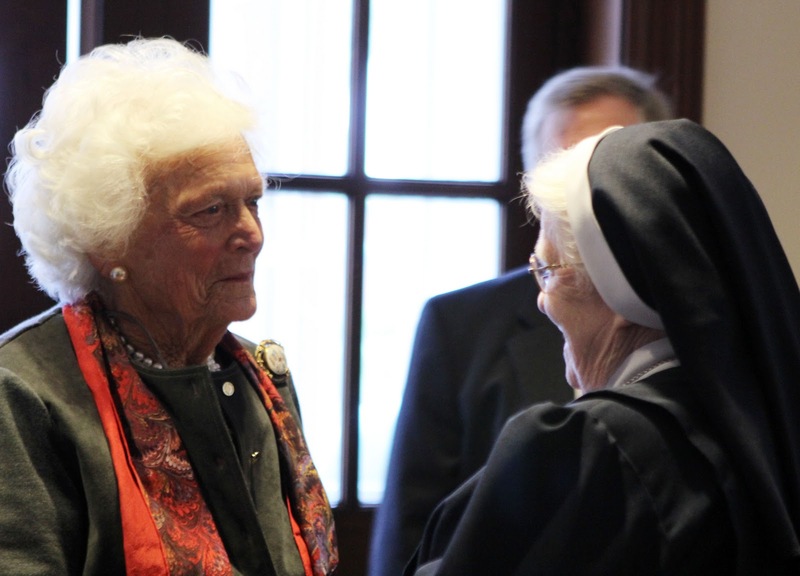 The Sisters of the Visitation and the Georgetown Visitation community extend our sincere condolences to Georgia Grace "Gigi" Koch '14 on the loss of her grandmother, Barbara Bush. We send our prayers to the Bush family at this time. We are so grateful and honored to have met Mrs. Bush when she visited campus in 2012. 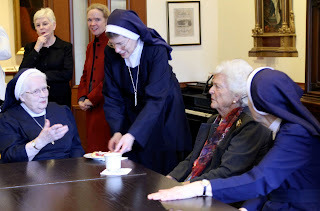 We share this blog post from the archives about that special visit. 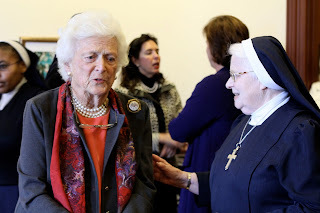 Georgetown Visitation was privileged to have a special visitor this morning, former First Lady, Mrs. Barbara Bush. Mrs. Bush was greeted by Head of School Dan Kerns, President Emerita Sr. Mary Berchmans and Board Chair Kerry McDonnell Mudd, and then enjoyed coffee and refreshments with Mother Jacqueline and several other Sisters as well as a few members of the school's administration. 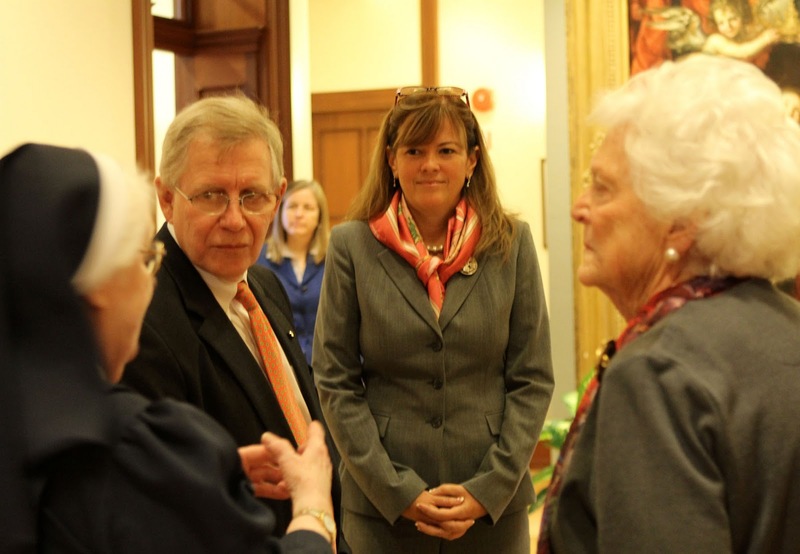 The former First Lady then visited a math and a history class and enjoyed a visit with student government leaders. 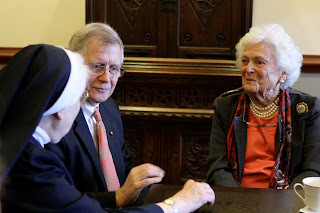 At each point she complimented the students and spoke to them about how fortunate they were to be at Visitation and reminded them to value the education they are receiving. 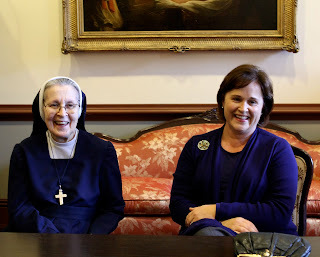 It was a memorable visit with a very gracious and special guest. Original blog post located here.